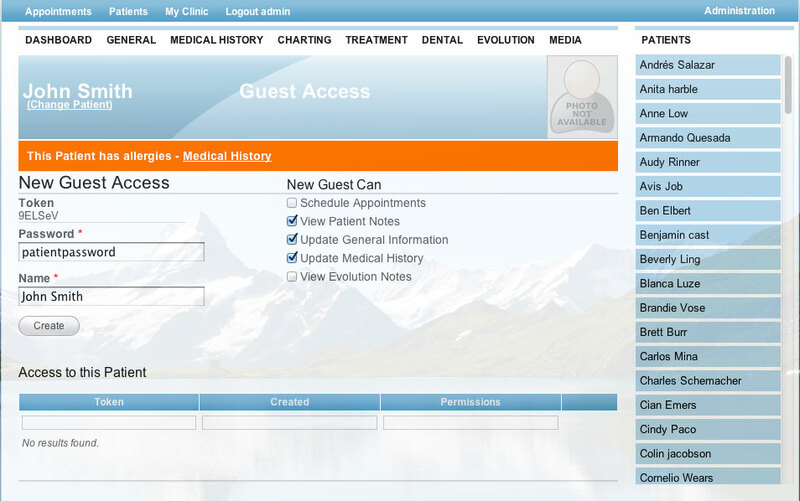 Every Patient has a dashboard where you can add notes, schedule new appointments, and invite that patient in to provide any information you need from them. You can also print the entire patient file from this screen as well. Everyone shares the same schedule and can view it from mobile devices, too. You have 3 views: Monthly, Weekly and Daily. 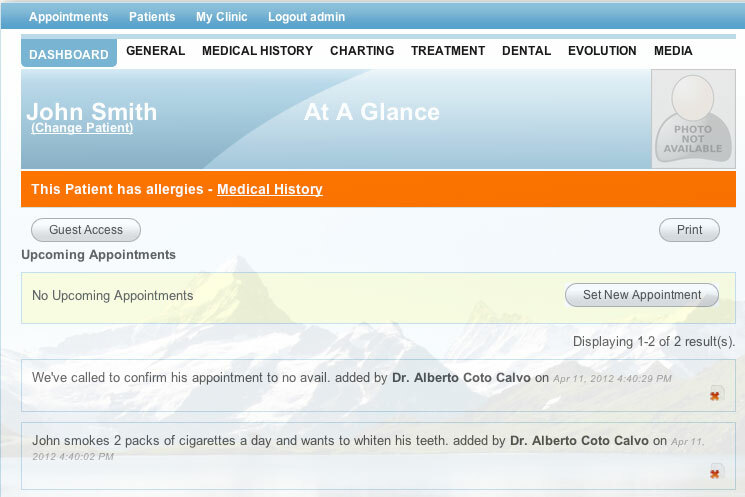 The Appointments interface is very smooth and easy to use. 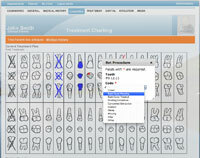 Dental Charting shares with the Treatment Planner. 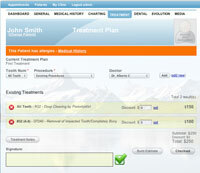 You can create charts for any existing treatment plan, or create a new one. 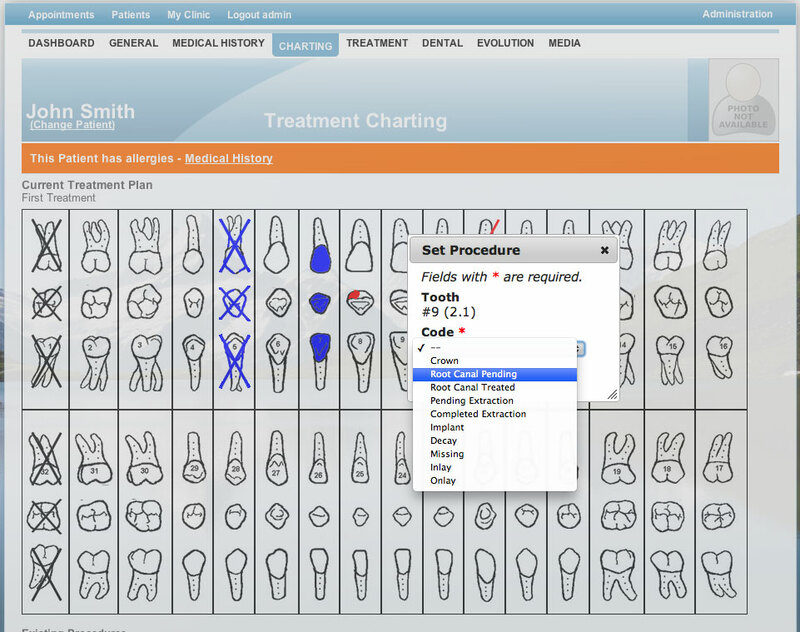 The chart features the basic syntax for charting, as well as a freehand draw mode for drawing precise decay in a tooth. You can use your tablet device to chart, as well. Medical History has gone paperless. 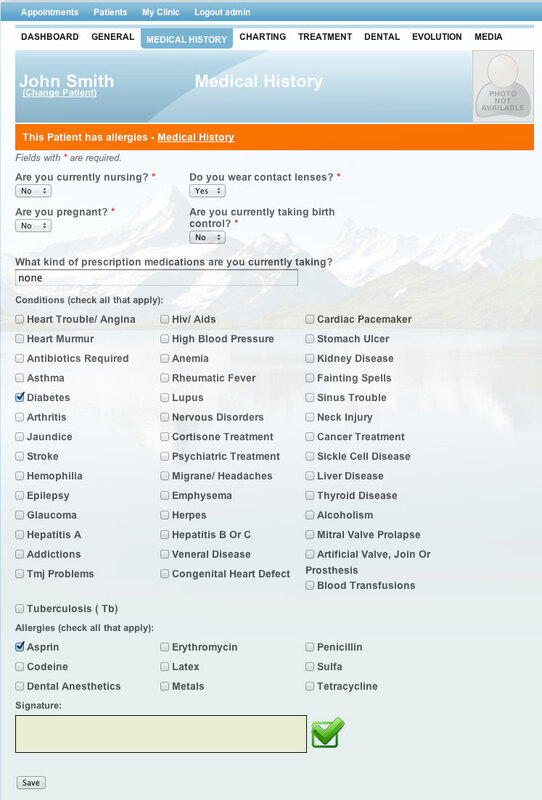 You can add/remove conditions, allergies, and provide any relevant medication they may be taking. This is part of the paperless system that Simple Dental ecompases. You can also collect a signature using a wacom style device or a tablet. This signature is stored with each treatment plan and stores with the date it was signed. Treatment Planning has never been simpler. 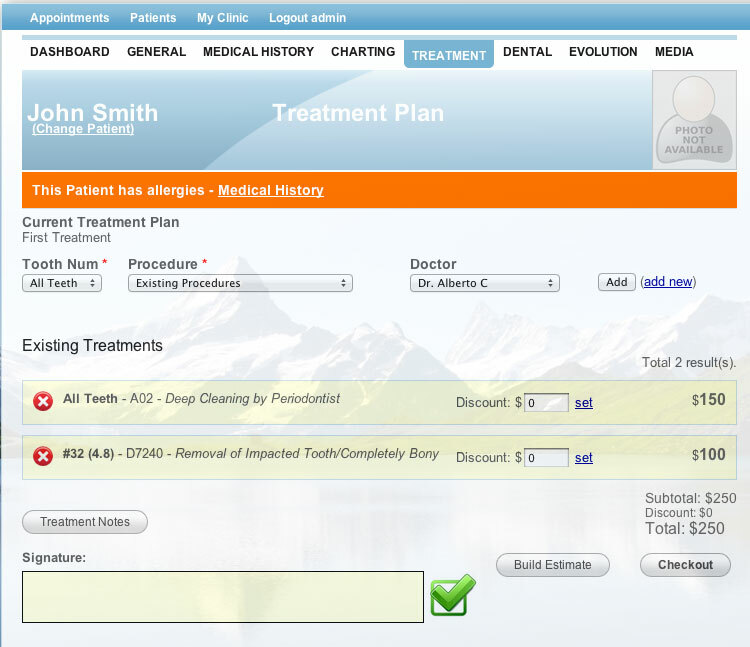 You can select an existing procedure to apply or quickly add one if you need. Once you're ready to check that patient out, you can use the Checkout button and start tracking the payments on that particular treatment plan. This workflow saves you time and allows you to show different treatment plan options with Build Estimate. You can then email them a copy in PDF format or you can print it out. Guest Access has to be one of the single coolest features we've created. You set up access on a per patient basis and you can give it to the patient directly, or share it with another specialist who may be working on the same case as you. You set the permissions you want that guest to have and they will be locked into that. The right sidebar contains all your patients and allows you to jump to any patient regardless of what you're currently doing. Everything you print in Simple Dental is saved to PDF. From there you can easily pass it to the patient via email, or you can open the pdf in a pdf reader and print it off. Once you checkout a treatment plan you can began tracking the payments. Billing tracks what type of payment method, the amount, and when it was made. Nothing more. In the Reports Section you can always view the outstanding balances and jump right to them. Digital Signatures have been emerging for some time. Plenty of products out there allow you to virtually sign contracts, various business documents, etc. We use this same technology inside of Simple Dental.